Since 1915! There are no preservatives, no colors, no artificial flavors, and no sugar added! Dairy free and Gluten free! It has Vitamins A & C! Supports the immune system! 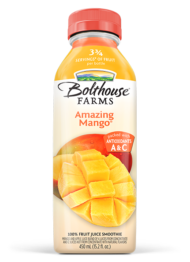 Blended with the juices of mangos, bananas, oranges, and apples!